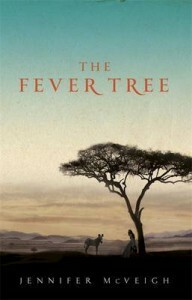 “The Fever Tree” by Jennifer McVeigh is a critically acclaimed novel set in nineteenth century South Africa. 1880. South Africa. A country torn apart by greed. Frances Irvine, destitute in the wake of her father’s sudden death, is forced to abandon her life of wealth and privilege in London and emigrate to the Cape. In this remote and inhospitable land she becomes entangled with two very different men. One driven by ambition, the other by his ideals. Only when the rumour of a smallpox epidemic takes her into the dark heart of the diamond mines does she see her path to happiness. But this is a ruthless world of greed and exploitation, where the spoils of the rich come at a terrible human cost and powerful men will go to any lengths to keep the mines in operation. Torn between passion and integrity, she makes a choice that has devastating consequences. This giveaway is now closed. Congratulations to our winner. I think my mom would really LOVE this book! Another great giveaway will tweet at rhondareads.